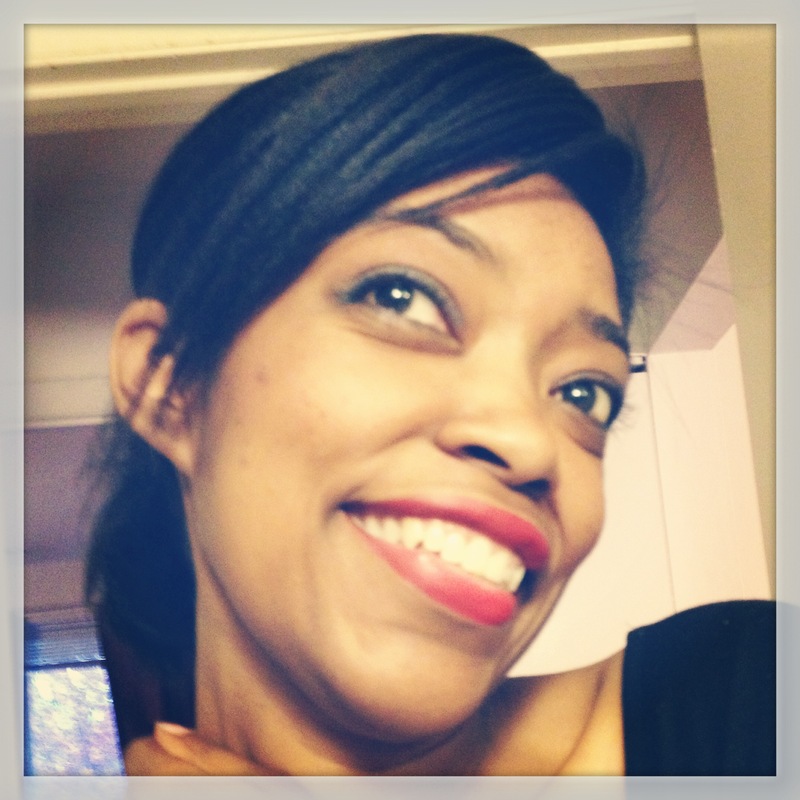 Two More Updates: HuffPost Live and Colorlines. 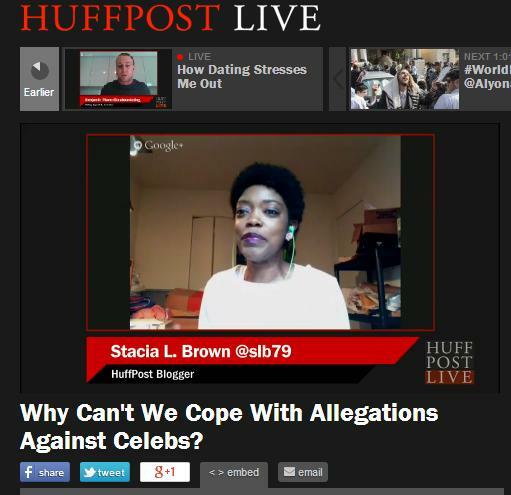 Just a quick post with links to a brief appearance I made yesterday on a HuffPost Live panel discussing Bill Cosby. I was asked on because of this piece in The Guardian. (See also: this previous Bill Cosby musing over at Buzzfeed.) I don’t think I can embed the video here, watch at the HuffPost Live site. But before you read/see any of this (if you haven’t already), read what Roxane Gay has to say about this whole Cosby thing over at her brand new site, The Butter, and I might be saving you the watching/reading time you’d be spending on my stuff. She has the definitive take on this debacle, I think. 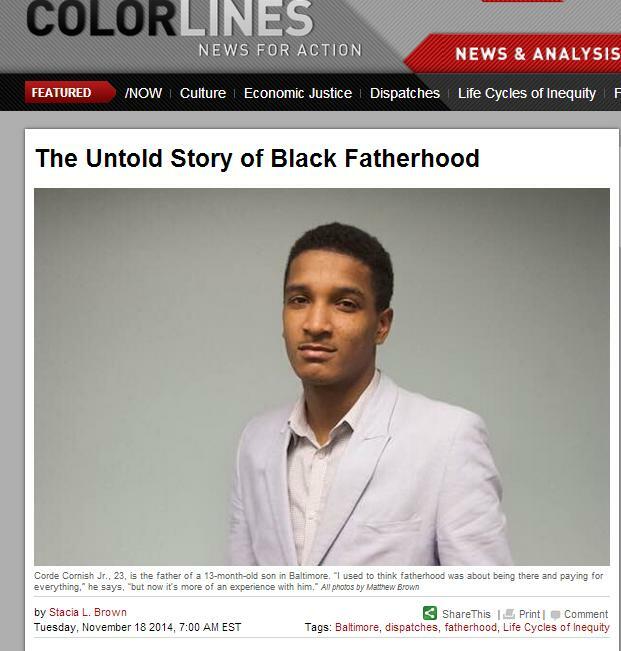 I’m also super-proud of a piece that went up today at Colorlines, about unmarried single fatherhood in Baltimore City. It’s the first time I’ve ever done reporting for them (I’ve worked as their social media engagement fellow/contractor since last summer). In fact, this might be the first semi-long reporting I’ve ever done. I usually write things that are under 1,500 words. This clocked in at over 2,500, I think. It involved two trips to the Center for Urban Families on N. Monroe Street and conversations with four single black fathers and the program manager for the Baltimore Responsible Fatherhood Project. It also involved a complete rewrite. I have this theory that my first stab at writing for any new outlet or in any new genre will result in a complete rewrite. We’re talking maybe 10-15% of the original writing showing up in the final draft. That’s what happened here. It’s happened for a few other outlets, too, and sometimes, I tense up so much I wind up not even being able to do the revision in a way that’s both timely and satisfying. So far I’ve been blessed with patient editors (who are probably used to these kinds of freak-outs) who can retrain my focus on the bulls-eye after my draft lands pretty far away from it. The takeaway: every publication has an internal voice and most them also want you to retain your voice and style, but it isn’t always the easiest marriage. Don’t be a runaway bride. See the rewrites through and work toward a more perfect union. It’s been a wild month so far. Can’t wait to find out what else is in store. In the meantime, speaking of marriage, thanks to everyone for sharing my post about Solange’s wedding. I’m really happy to see so many people enjoying it.